If we want to thicker eyebrows we must constantly use these treatments and complement them with a healthy diet to nourish our eyebrows also from the inside. Thick eyebrows are trendy nowadays. Stylish eyebrows are not only more defined, but they also improve the appearance of the eyes and help to achieve a more expressive look. But how to get thicker eyebrows? Read on and find out! It’s been a long time since thin eyebrows were in style. In fact, now the majority of people prefer to look for alternative styles for their eyebrows to give them form and volume, and so that they look natural. The problem is that continuously using hair removal methods, chemical products and environmental particles can weaken hair and cause noticeable changes. For example, it’s common for eyebrow hair to fall out and to be difficult to highlight by using makeup. Fortunately, there are several natural remedies that help strengthen eyebrows, and stimulate their growth. This also works for growing back our eyelashes or the hair on our head. In today’s article, we want to share some of the most effective natural remedies with you. 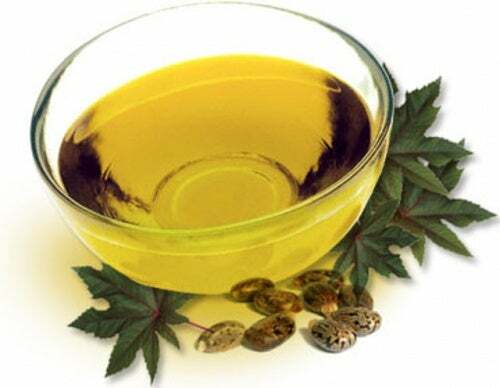 Castor oil is one of the best products for growing thicker eyebrows and strengthening them. It is a natural source of protein, essential fatty acids and antioxidant substances that penetrate the follicles to stimulate hair growth. Dip a cotton ball in organic castor oil and rub it over each eyebrow. Gently massage your eyebrows for 3 minutes and leave the castor oil on overnight. Repeat this every day for optimal results. In addition to having a very pleasant aroma, coconut oil contains medium chain fatty acids, vitamin E and minerals that strengthen eyebrows and their follicles. Take a small amount of solid coconut oil and heat it for about 20 seconds in the microwave. When it is melted, but at a tolerable temperature, dip a cotton ball in it and rub it on your eyebrows. Massage the area for a couple of minutes and leave the coconut oil on all night. Repeat this every day for at least two consecutive months. 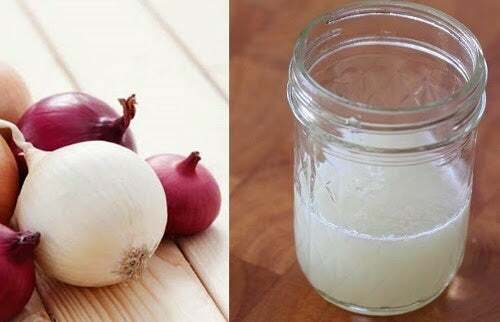 The natural juice from onions contains sulphurous substances that can strengthen hair and promote eyebrow growth. Its properties increase collagen tissue production and reverse the damage caused by free radical particles. Cut an onion in half and blend it to get its juice. Massage your eyebrows for five minutes, after applying the onion juice to the area, and wait for it to dry on its own. If you can take the smell, leave the onion juice on all night. If not, then rinse off the onion juice with cold water. Repeat this every night for at least one month. Egg yolk contains high-quality proteins that improve the health of the hair on our heads, eyebrows and eyelashes. The vitamins and minerals found in egg yolk strengthen hair and reduce excessive shedding due to nutrient deficiency. Separate the yolk from an egg and beat it until you obtain a creamy consistency. Apply the product on your eyebrows with a brush or a cotton swab. Wait about 20 minutes and then rinse the egg off with warm water. Apply the egg yolk twice a week. 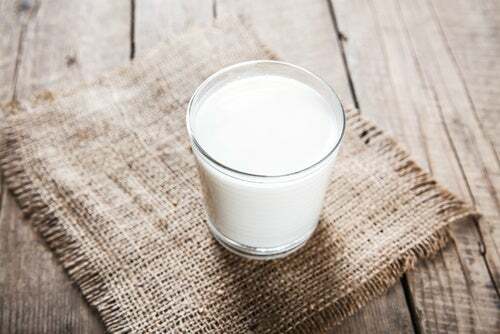 Milk contains proteins and fats that nourish eyebrow roots to promote healthy growth. Dip a cotton ball into a little bit of whole milk and apply it to your eyebrows. Let it dry for 20 minutes and then rinse the milk off with warm water. Apply it everyday, preferably before going to sleep. Considered to be one of the healthiest fats, olive oil contains vitamin E, antioxidants and omega 3 fatty acids that promote hair growth and thickness. Heat a little olive oil and, when it’s at a tolerable temperature, gently massage it into your eyebrows. You don’t need to rinse it off as your skin will easily absorb it. The aloe vera plant contains enzymes and moisturizing substances that clean hair follicles, so that nothing can impede their growth. Continuously applying aloe vera accelerates the growth process and helps to thicken hair naturally to avoid shedding. Take a small amount of fresh aloe vera juice and gently massage it into your eyebrows. Leave it on overnight and rinse it off with warm water the next day. Finally, keep in mind that these treatments are not miraculous, nor do they produce results immediately. You will see their results after using them for a long time, especially when they’re accompanied by a diet rich in proteins, vitamins and omega 3 fatty acids.